Do you fancy switching on some particular lights at home using your smartphone while you are still on your way? 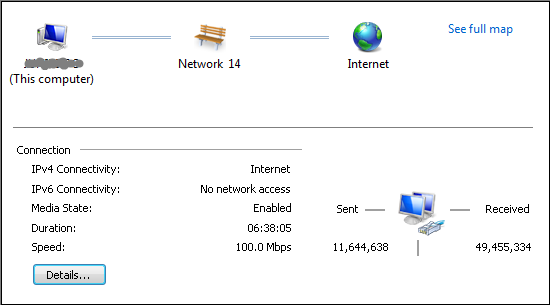 In the internet protocol, every device connected to the world wide network has its own IP address. That's including your PC, laptop and mobile smartphones. This means that your devices have unique identification and therefore addressable. Think about light bulb that has IP address of its own. And think about hundreds or thousands of addressable light bulbs. That is what this title is all about. LED Light bulbs that can become data hotspots and be controlled (switch on/off, dimmed, auto-switched, programmable) from anywhere in the world. 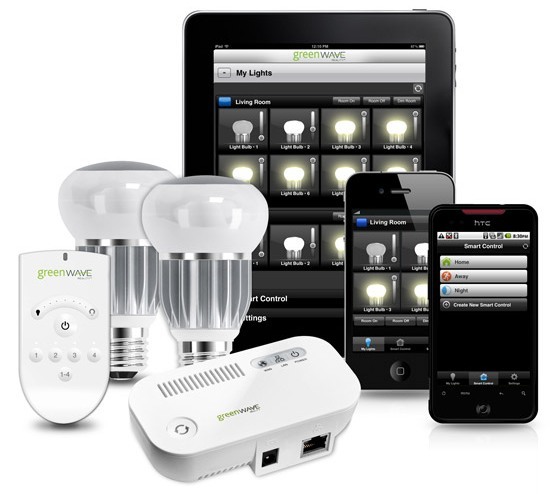 On Monday, October 22, 2012, GreenWave Reality and NXP launched a new line of WiFi-networked LED light bulbs, along with the Connected Lighting Solutions platform to run them. According to Greentechmedia, GreenWave has already started shipping the bulbs to European utility customers, such as in Denmark, Netherlands, and Sweden. The new bulbs are also certified for sale in the US. Noting that possibility is endless with such bulb, how much would you be willing to pay for it? For a start, a basic kit containing a gateway device and four bulbs, along with a handheld remote, will cost about $200. Individual bulbs can then be purchased at $20 to $30 (RM60 - RM90). The technology make use of IPv6 connectivity to network LED light bulbs. The rise of the “Internet of Things” is pushing basic IP connectivity down to pacemakers, security webcams, smart thermostats and other devices at a pace that should cut costs dramatically in the years to come. There’s a new breed of IPv6-enabled mesh networking technology that’s allowing these devices to receive and pass along data to one another, which beefs up the topological factors (i.e., walls) that can cause trouble for low-power wireless networks. The advantage of using light bulbs as places to add wireless mesh nodes, is that they are likely to reach every part of the home or business they are deployed in. Hence the data nodes as well. Although GreenWave and NXP are not the first to come up with the idea of a house full of IP-addressable smart light bulbs, the usability of such technology is still in infancy stage. But as earlier mentioned, the possibility is endless. nice accessory all are really very bright!! Evolutionary upgrade to the internet protocols, IPv6 may coexist with the older IPv4, but the lighting world has gone far away with the new innovative. This network connectivity is something rare and eye catching as a lot of sectors are waiting for the technical outcome to cloud the market.